Getting cold feet. Do you ever feel ready? Over this past week I've gotten all the things I need to start sending out applications and even go and get my CDL permit. However I'm still dragging my feet on it. It probably doesn't help that not one person in my social circle is supportive of me getting into trucking except my Dad, which is more of a "go make some money" attitude instead of "im happy you chose trucking." He definitely wanted me to get into a trade like HVAC instead which I even signed up for classes but dropped before the start because I decided on trucking. I tend to be the type of person to think of the worst possible outcome and since I'm unemployed it means a lot of time researching and coming up with a dozen different ways to not get into trucking. Most of them brought about by silly hypothetical things such as driving around and hitting 4 wheelers in big cities/heavy traffic which I have avoided most of my life, getting yelled at/rushed by other drivers, chaotic truck stops, etc. One medical condition I have that worries me as well is my IBS-C (irritable bowel syndrome but chronic constipation primarily). I do take Miralax to treat it (gastro's orders) but there have been times while driving across the state that all of a sudden I get intense cramping and need to stop asap. I got a feeling driving speeds up my gut due to the movement and shakiness of the road. While I doubt this will be possible on a trainer's truck, I've found buckets at Cabela's with toilet seats and a trash bag that would be useful in a situation like that so that's one fear I've been successfully dealing with and come to terms with. I have driven a class-B International 4400 fire engine and tanker (vol. FD) with air-brakes but it was in a small college town and have never driven anything big such as that on a crowded interstate/city traffic. I loved driving those trucks and that's why I keep coming back to trucking and not letting it go. I feel like I'll have regretted not at least trying it. Anyone else on here who struggled with taking the plunge? And if so, when you finally did it was it as hard or as difficult as you thought it would be? I'm hoping some words of encouragement from this great community will put my mind at ease and finally allow me to put my fears aside and just do it. I haven't stepped foot inside a truck yet, but my opinion it looks too tight for a u-turn. Maybe pull up to the right next to those vehicles when coming in the entrance as far up as you can, back up to straight out/angle the trailer toward the dock using that big space behind you, then driver-side back to the dock. This is a neat idea, I like these training scenarios. Thank you very much for this. I'll have to print out the part about wanting to quit everyday and have it posted up somewhere as a reminder that things will be hard but don't quit out. Appreciate all the feedback guys. I've decided to drop Networking and I'm now enrolled into a 16-week HVAC course at the local community college. It's a 8 AM to 3 PM program from August to December that gets you ready for entry-level HVAC in residential and commercial. I'm blown away with how cheap community college is compared to Universities. I'm taking 23 credit hours and the cost is still $1,700 cheaper then my 1 semester (16 credit hours) at University. If this doesn't pan out I'll be back into trucking. Thanks again all. Thank you all for chiming in. @G-Town As far as driving goes I commute an hour each way to this University for my first degree, sometimes twice in one day for morning and evening classes. Driving has always been very relaxing for me and I always looked forward to it at the end of the day. I'd put on a podcast and just cruise, I loved it. Driving for upwards of 8-11 hours a day will definitely take some determination but I see it as doable and not at all something I'm afraid of. My last question on IT would be how common is the "ticket system" in a Network/System admin position? The idea of having to prioritize dozens of things that need attention and bouncing around kinda turns me off. I'm the type of person to focus and finish something before moving on to the next thing. @KnowItAll Congrats on JPT! I've heard nothing but great things from them. I wish you luck and keep us posted on how it goes for you. Thanks for your input. I'm really thinking about giving trucking a shot before committing to a long degree program that will put me more into debt then I already am. Currently going through the high road online course and I gotta say it's amazing. Both nervous and excited to get started. 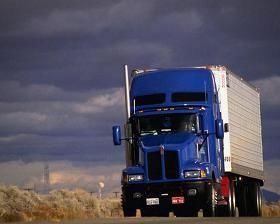 Any truckers who have done a fair share of IT related work before coming to trucking? I'm set to start my Networking Technology degree this August but after doing a lot of research it seems like the stress of Network/System admins is insane. I'm not so sure about getting into it as much now. My other interest is trucking. I've been looking at getting into trucking since September of last year but haven't had the courage to take the plunge. However if I decide not to take this degree route I'll be going into trucking asap. I'm a laid-back introvert, not much family/friends at home, and am 100% ok with being alone in a truck left on my own. Over the last few jobs I've had (1 retail, 1 factory, 1 pizza delivery) it was the driving job I loved the most. The peace of being on the road by yourself was amazing. I also however have a love for technology and have been the "computer guy" since I was in middle school for my friends and family. I chose networking over programming because I have tried multiple times to teach myself how to program and did not enjoy it at all. Would love to hear from any ex-IT guys who are now truckers and what you think about the two. Thanks!